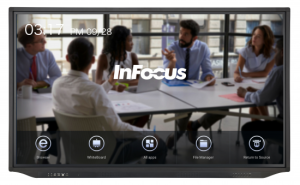 At this year’s Bett-Show 2018 in London, from Jan 24th to Jan 27th, InFocus will present its INF7530eAG and INF4030 from the JTouch series and the INF6522AG model from the Mondopad series to educators and decision makers looking for innovative learning and education solutions. Bett is the first trade fair of the year in the educational technology sector, making it a meeting place of 850 leading companies, 103 exciting new ed-tech start-ups and more than 34,700 participants from the global education community. The purpose of Bett 2018 is to bring inspiration to the coming year, as well as be a place to discuss the future of education and the role of technology and innovation in making educators successful. What are JTouch models capable of? The JTouch INF7530eAG impresses with its user-friendly interface equipped with a total touch control and brilliant 4K-resolution on the 75” anti-glare screen. The built-in functions for learning purposes and the ability to use native Android apps makes JTouch a perfect companion to daily learning practice. 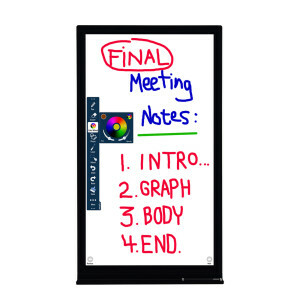 The whiteboard function with a web browser, media player, and Air-Play feature allows you to add notes to desired applications, videos, websites and documents. The well-known touch gestures , such as wiping, zooming and tapping, work seamlessly as part of the hardware. This makes using a remote control obsolete with this JTouch model. Via five different USB-B ports, HDMI sources can be connected. The JTouch meets the requirements on display in the education branch without compromise. Thanks to the practical and handy 40-inch size, the interactive whiteboard fits easily in every classroom. Depending on the orientation, the touchscreen can be adjusted to either in portrait or landscape format. The integrated whiteboard software simplifies collaboration and allows for up to date results to be immediately captured and shared with each participant after the lesson. The INF4030 can also be connected via HDMI, VGA, Component Video and USB port to any PC, Mac or Chromebook. What is the Mondopad model capable of? All the functions required for visual presentations, as well as the collection and exchange of ideas are contained in the INF6522AG model. 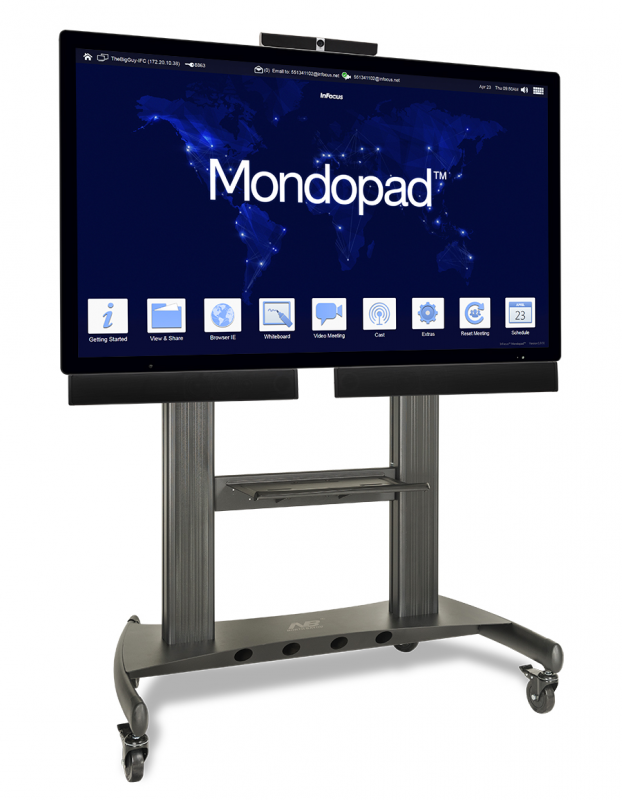 The 65-inch touch screen features the video conferencing technology with pin-sharp HD resolution and a digital, interactive whiteboard comment function. The capacitive touch function of this technology ensures efficient collaboration. The Mondopad is not only flexible due to the control of each notebook, tablet or smartphone, but also extendible via an integrated Windows PC with pre-installed Microsoft Office. Thus, teachers can develop and expand their ideas by working together face-to-face from any location. The Bett is an opportunity for everyone to share experience and to become a game changer in the global education sector.. This entry was posted in JTouch, JTouch DigiEasel, Mondopad, Touch display, touch screen and tagged INF4030, INF6522AG, INF7530eAG, JTouch, jtouch serie, mondopad, mondopad serie, Touch Display on 22. January 2018 by Nicola.